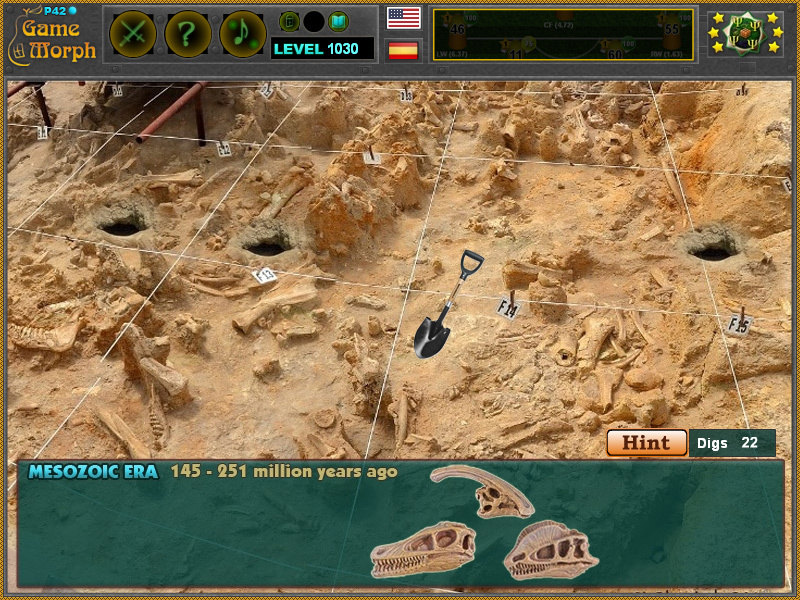 11 dinosaur skulls from the mesozoic era in a fun online archaeology learning game. 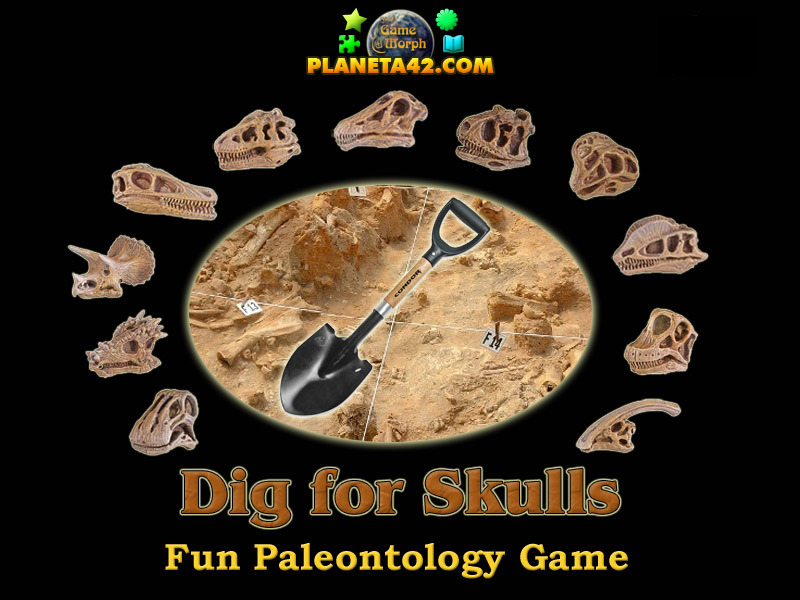 "Dig for Skulls Game" is a free online knowledge level game, to excavate 11 mesozoic era skulls. A small point and click game for desktop computers, laptops and tablets, which may be played in the web browser. The Archaeology Knowledge Board include pictures of 11 dinosaur skulls, to play with. How different dinosaur skulls looks like? When did mesozoic era skulls apear? What are the types of mesozoic era skulls? How to play Dig for Skulls Game. Like all excavation games, there is one bones archaeological site with hidden dinosaur skulls under the surface. You must search the bone site by digging suspicious locations with the shovel. There is a one time usable hint to show the hidden dinosaur skulls locations for 2 seconds. Know at least 3 types of skulls. Winning the game rewards +1 Knowledge Level. Class subject: Dinosaur Skulls 2. Mesozoic era dinosaur lived approximately 145 to 251 million years ago. The 3 main types are carnivore, herbivore and omnivore dinosaur skulls. Here are the skulls included in this fun excavation game. Labels: Paleontology Games , Excavation Games , Dinosaur Games , Fossil Games, Education Games , Free Online Games.